Nova Heart have taken China by storm with nearly a million streams and thousands of views on Chinese media streaming platform like Xiami, LeTV or Youku (Chinese YouTube). In Europe, Nova Heart’s sound is well recognized as one of the most interesting sound of this year. Put together the fact that they came from Bejing and they play an indie-synth pop that seems to come from a vintage future and the recipe is explosive. 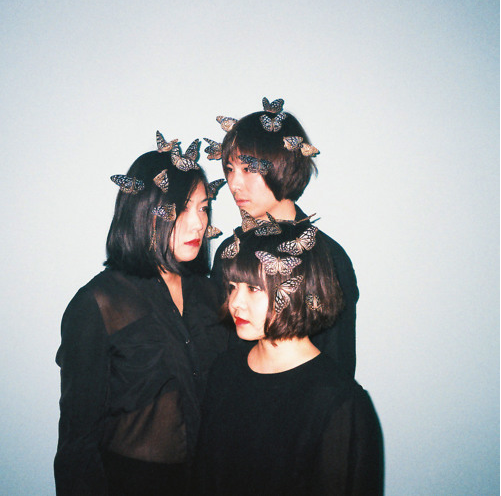 Beijing’s dark minimal electro / pop group, Nova Heart are comprised of Bo Xuan (bass), Shi Lu a.k.a. Atom (drums), and Helen Feng (vox, keys) the former MTV VJ who’s been previously dubbed as, “the Queen of Beijing Rock” and the “Blondie of China.” The band was founded in 2011 and have since been embraced by influential members of Beijing’s art and fashion crowds, music critics, and indie music fans alike – from Beijing to Berlin, London to New York and LA. Now, Nova Heart is out with the debut album with the same name, via Caroline International. The album consists of eleven intensively presented tracks where the intense use of synths creates an unusual indie-synth-dark pop similar to many for the genre (as category as definition) but unique for songs structures, approach and style. Exactly this last one is in absolute terms what come up from the first listening: a definitely clear, weird enough, unique for sure, band’s style and personality. The sound is well defined, structured but it leaves the sensation to the listener of don’t clearly understand what he/she is exactly listening to. I call this “something new”.